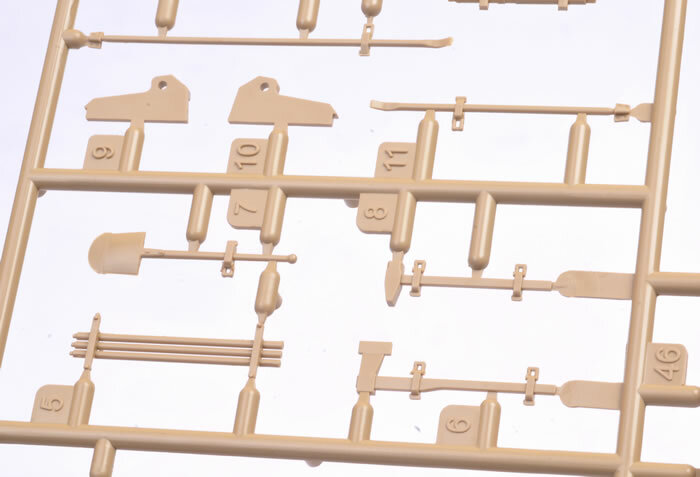 Media and Contents: 518 parts in pale tan plastic; 1,104 parts in dark grey plastic; 21 parts in clear; 1 x photo-etched fret; roll of braided copper cable; 4 x photo-etched zimmerit tools; markings for six vehicles. Advantages: Excellent detail; high quality moulding; first-class surface textures; many useful options; zimmerit tools included. At the beginning of 1945, Kampfgruppe Schulze and Oberleutnant Fehrmann formed a division of six Tiger I and five Panther tanks with the intention of going into the Ruhr area. 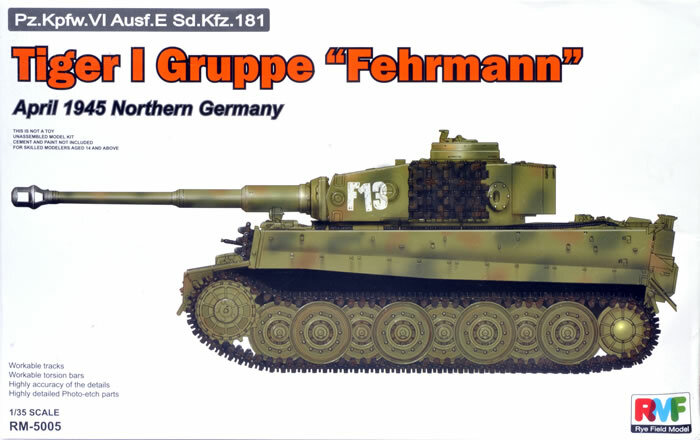 The Tiger tanks were commanded by Oberleutnant Ferhmann and were designated with 'F' to denote their 'Gruppe' commander hence F01, F02, F03 and up to F13. On 6 April 1945, the group reached the river Aller near Rethem when one Tiger was lost due to a mechanical failure. The following day the company reached Nienburg and a Grenadier Division was attached to them. On 9 April the Panthers entered the town of Wiethesheim where they engaged in a fierce battle with the Allies. Out of the five Panthers, only one returned along with the commander. During the counter-attack, Tiger F02 suffered a PIAT hit on the right side of the turret and another that damaged the gun mantlet. Two other Tigers continued the thrust where they eventually captured 30 British paratroopers. Fehrmann's Tiger F02 returned to Fallingbostel where a replacement mantlet was fitted. 11 April 1945 saw the remaining tanks entering enemy controlled territory to Buckeburg. Along the way, two Tigers became stuck in the mud and when a Panther tried to recover them, it too was stuck. With no other way to recover them, the tanks were destroyed and their crews eventually captured by the Allies, and Fehrmann along with them. The Fehrmann Tigers were made up from an unusual combination of early and late Tiger features. 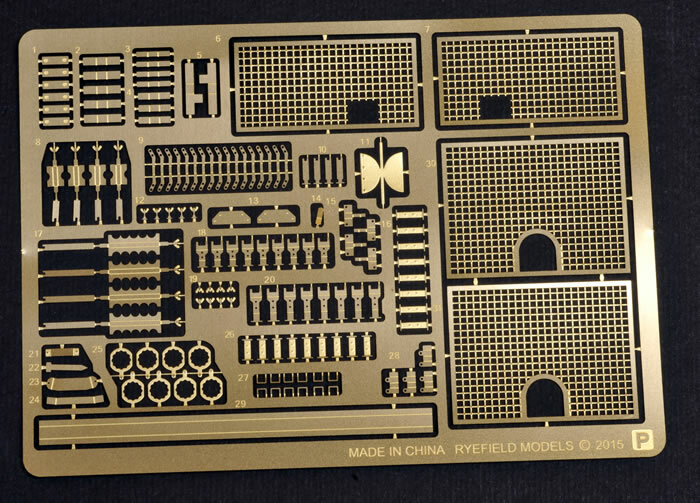 Ryefield Model has released a 1:35 scale Tiger I Gruppe Fehrmann, and it is a remarkable model. 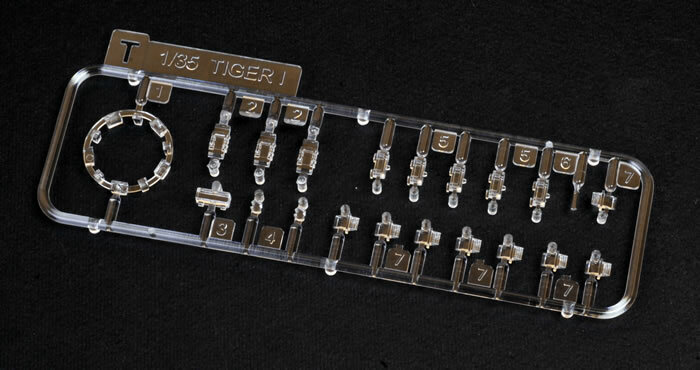 The kit is made up from a whopping 1,622 plastic parts, a photo-etched fret, a roll of soft copper wire for the tow cables, a zimmerit tool and markings for all six Fehrmann Tiger Is. 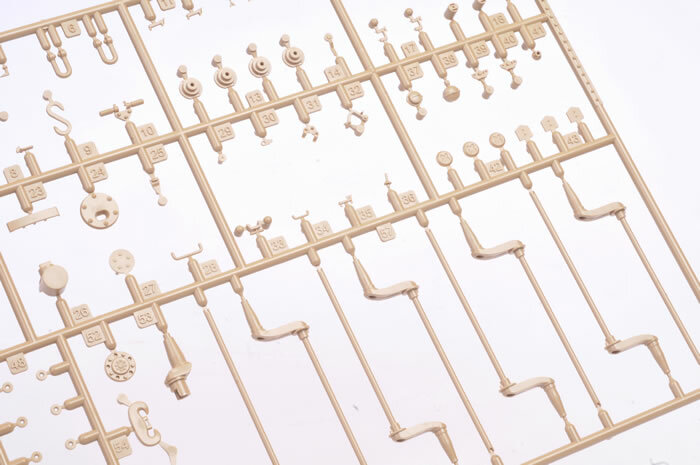 Despite the daunting parts count, assembly of the vehicle itself looks pretty straightforward. 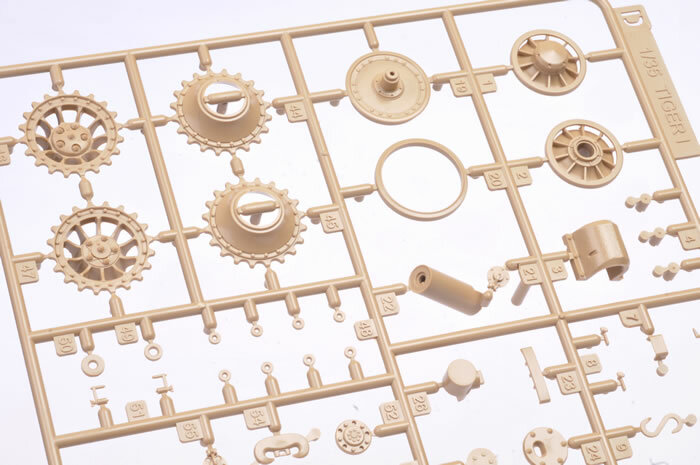 The massive number of parts is swollen by the five-part track links and the large variety of optional parts. There is one full set of early rubber-rimmed road wheels and a second full set of late metal wheels. The wheels are presented simply as outer and inner halves – no separate tyres here thank goodness. 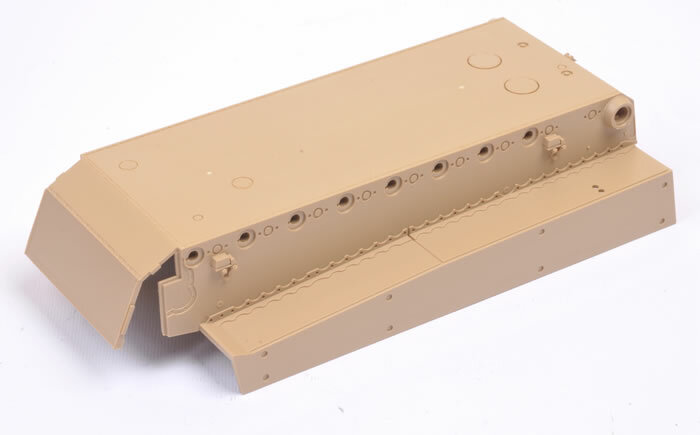 There are four different styles of gun mantlet included, as well as early (dustbin) and late cuploas, three styles of drive sprocket, early and late starboard turret sides, two styles of loader’s hatch, alternative stowage bins and even the Feifel air cleaners. 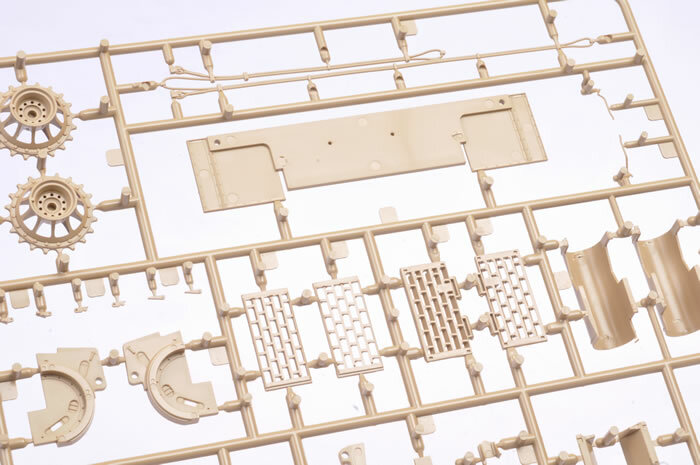 Many of these options will not be used for this model, but they greatly increase the versatility of versions that can be built straight from the box, and will certainly boost the contents of your spares drawer! 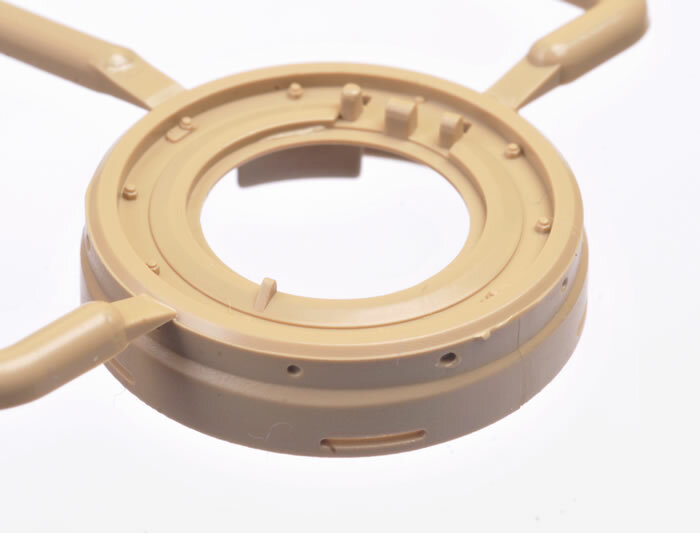 Clear parts are supplied for the cupola, vision blocks and scopes. Surface textures are world class, as is the level of detail generally. 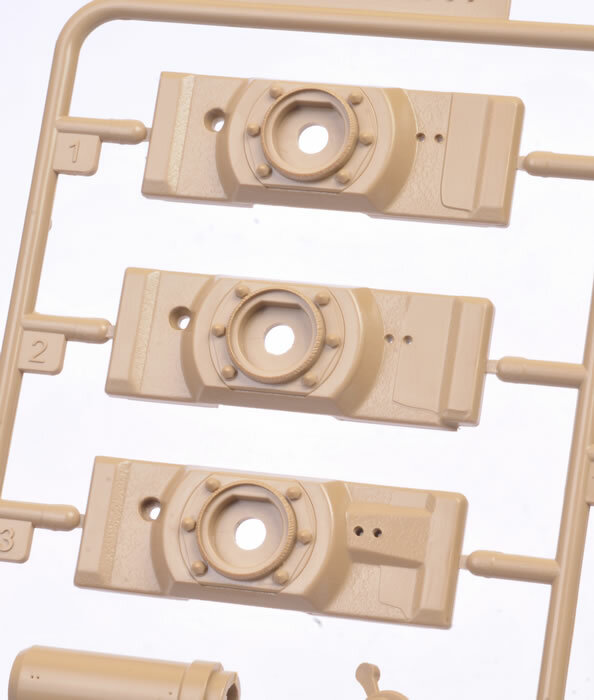 The road wheels simply slip over their axles and are held in place with a small plastic washer. 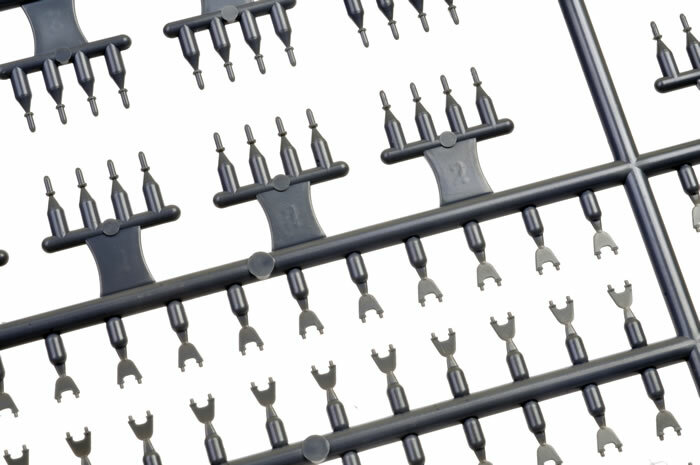 Tool clamps are supplied as separate photo-etched parts, and hatches may be left workable to open and close. 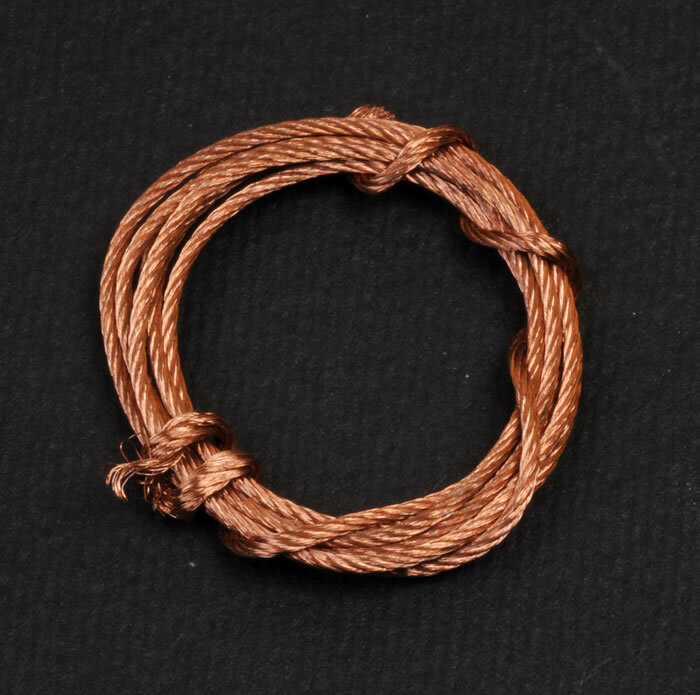 A length of soft braided copper wire is supplied for the tow cable. The running gear is built up like the real thing with workable torsion bars. 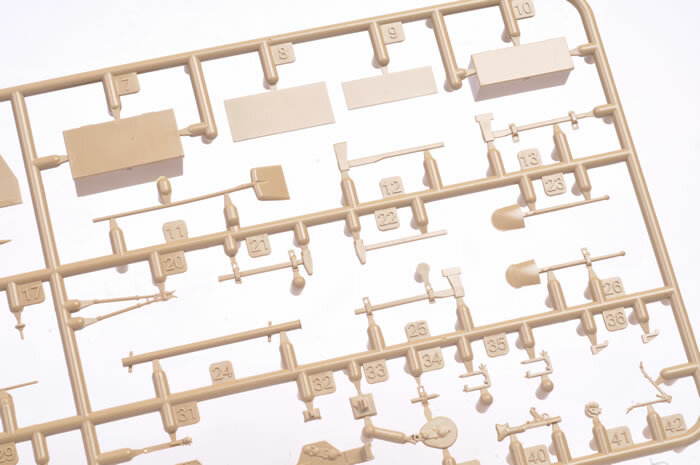 The late-style tracks make up the majority of the parts – 1,104 parts in all. 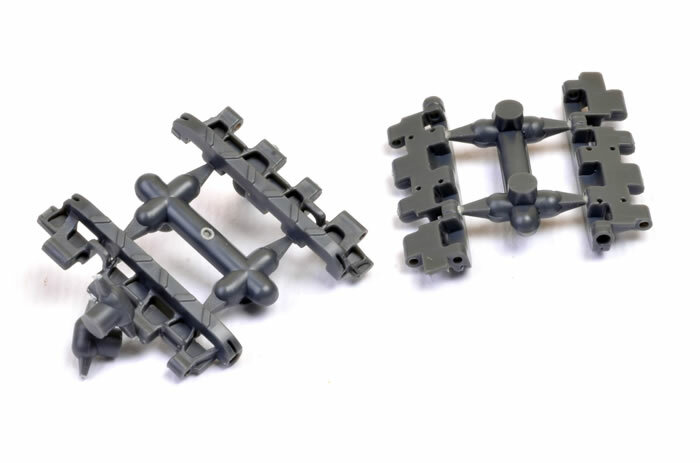 There are 192 individual track links to which are added two separate hollow guide horns and two track pins – so five parts per link. 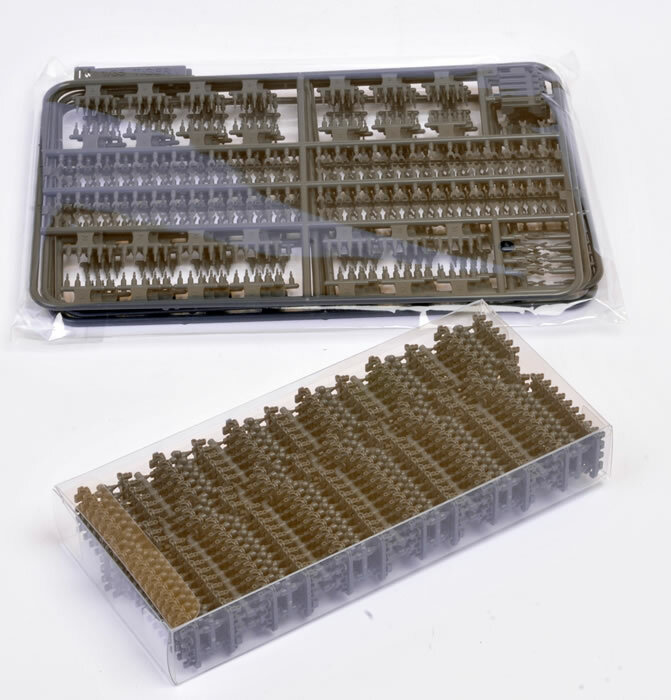 The track links are attached to the sprues at two points each, while the pins and guide horns have one attachment point. 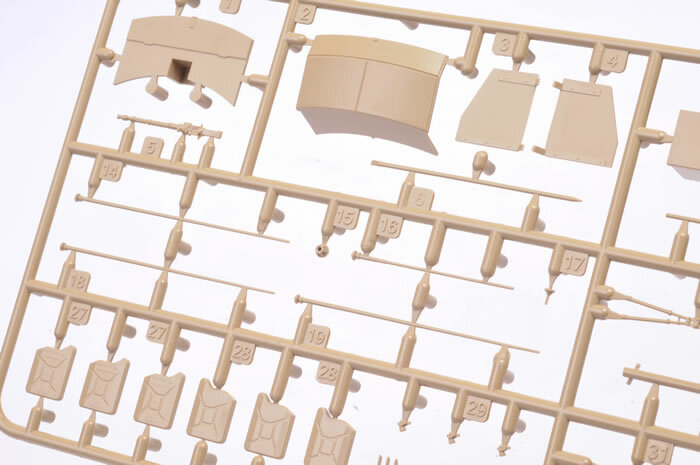 An assembly jig is included, and the pins may be inserted four at a time, so assembly may be a bit quicker than it might appear based on the sheer number of parts. In keeping with their rag-tag configuration, the six vehicles wore different configurations of zimmerit, from none at all to full coverage. 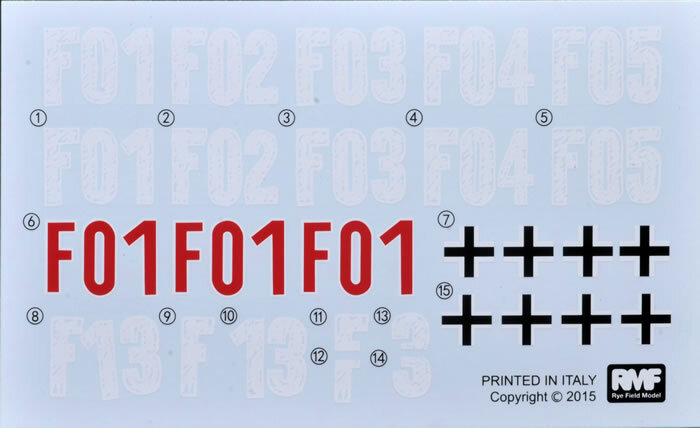 Ryefield’s instructions include digrams illustrating the level fo zimmerit coverage on three vehicles. Furthermore, they offer a set of photo-etched zimmerit trowels in the box, ready to use on your choice of zimmerit putty. Markings are supplied for all six vehicles. 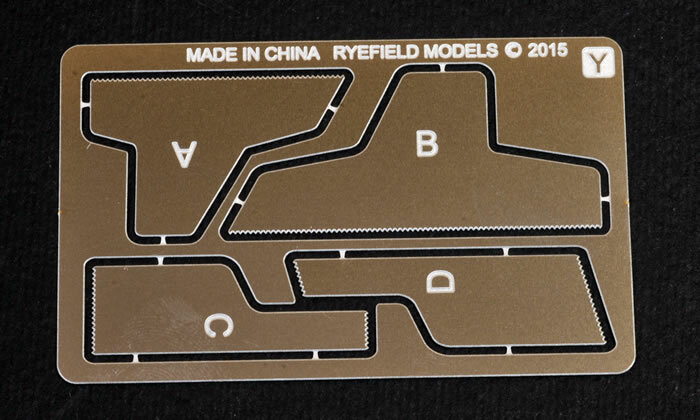 This is the first Ryefield Model kit that I have seen, and I am very impressed. Detail is magnificent, the options are comprehensive, instructions are clear and the whole package exudes luxury. My only reservation is the five-part track links, but even these have been designed to speed assembly as much as possible with their four-at-a-time track pins.